Public health decision makers may consider quantitative and qualitative research findings from a variety of disciplines. Different types of public health questions will require distinct research designs. Critical appraisal tools can be applied to assess quality and relevance of each type of research question. For more information about critically and efficiently appraising research sources, see our suite of Critical Appraisal modules in the Learning Centre (Critical Appraisal of Intervention Studies, Critical Appraisal of Systematic Reviews, and Critical Appraisal of Qualitative Research). 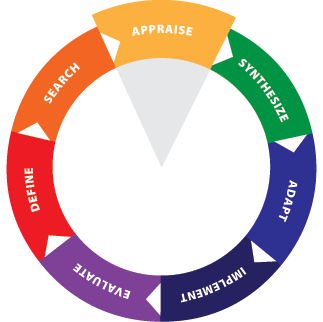 Critically and efficiently appraise the research sources.